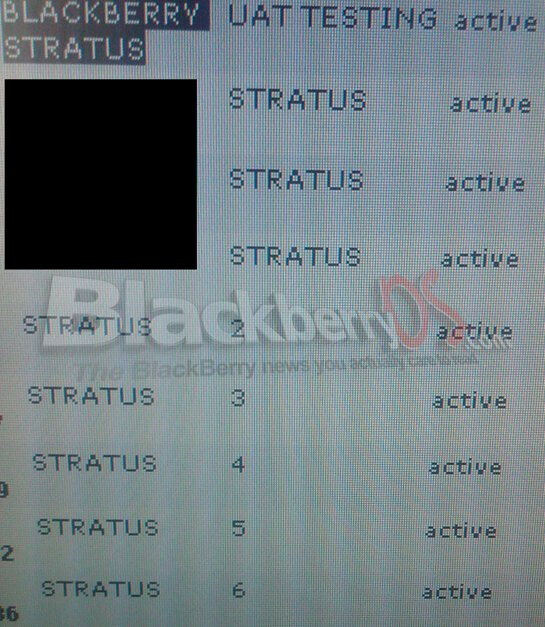 TELUS currently testing the BlackBerry Stratus 9100? Before handsets are officially given the thumbs up for an upcoming release, they are put through some strenuous tests on their network to see how they perform – which could result with an eventual launch or some additional tweaking to meet the expectations. That's exactly what appears to be happening with the BlackBerry Stratus 9100 that looks to be in the process of being tested according to a leaked photo of an internal TELUS testing account. There are apparently 11 units that are currently being put through the paces and are in the final stages of testing – which could lead to a launch as early as this month. Even though the leaked document clearly displays the Stratus models, it's still unclear if they are in fact the 9100 or perhaps the 9105 speculated to come with a T9-styled keypad. Nonetheless, there will still be plenty of BlackBerry devices to be on the look out for in the near future as the BlackBerry Bold 9650 looks to finally come out of hiding as well. c....d....m....a.....no? ok we are good! yes soon please!